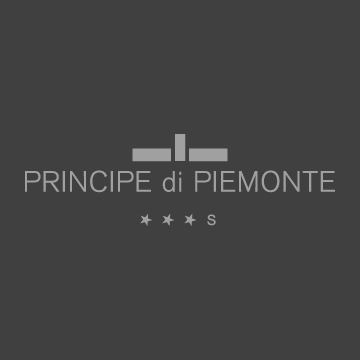 Beach Ricci area 142 – 143 is the beach with which our 3-star hotel superior in Miramare has special agreements. 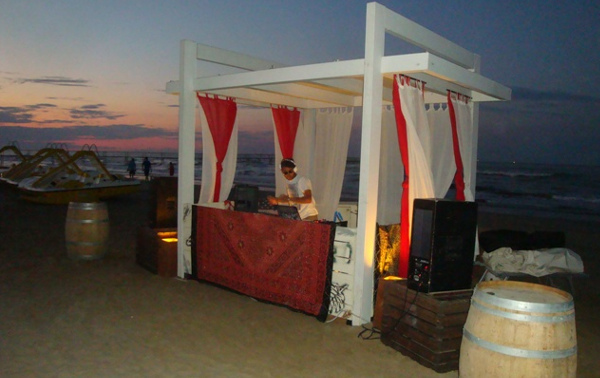 A modern, unique and always active beach with numerous events, services and special attentions to our clients! 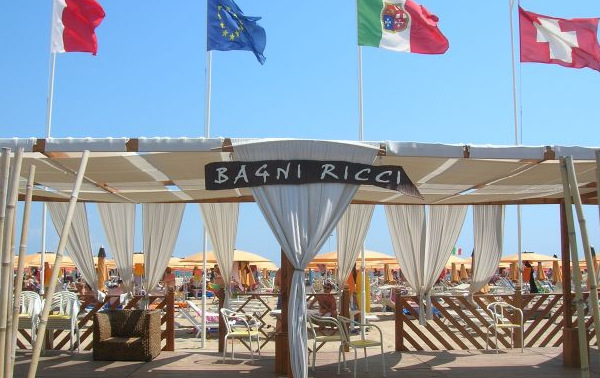 The right choice for those who are not only looking to stay on the lounger and take some sun, but wish to enjoy the beach life at 360°, with a typical Romagna hospitality! 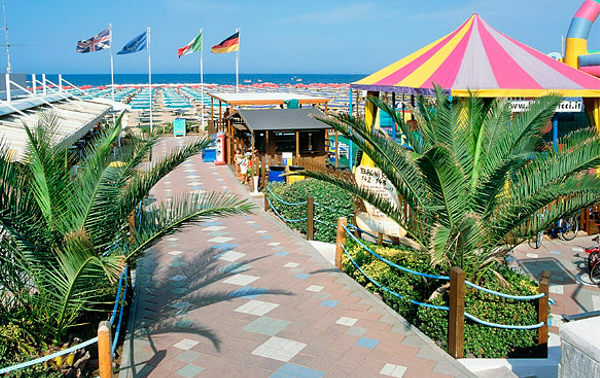 A historical beach, managed for over 60 years by the best Romagna beach managers, who every summer make offer their customers many services designed for young people, families and couples. 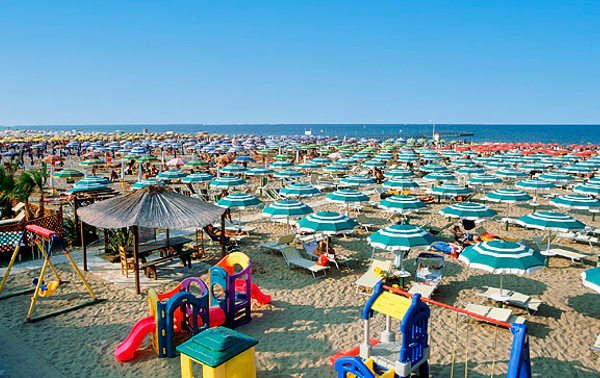 These include beach tennis, basketball and beach volleyball courts, table tennis, bowling, gym, hot tubs, bicycle rentals and surf lessons… in addition to a rich and exciting entertainment program, with the possibility of babysitting, games and inflatables. And then taste the dishes of our renowned restaurant on the beach, with excellent fish dinners at a special price… a real treat for the palate, on the beach! Not forgetting also the Chiringuito, comfortable bar directly on the beach, where you can treat yourself with a cocktail or a snack, a few steps from your beach umbrella!